How well do you know The Lion, the Witch and the Wardrobe? So how well do you know The Lion, the Witch and the Wardrobe? Take this quiz to find out. Each quiz in this Narnia series consists of 20 questions that cover one of the seven books. Some questions are harder or more detailed than others, but don't lose heart if you get a lower score than you had hoped. We all have a lot to learn. What was Professor Kirke's first name? What was the name of Professor Kirke's housekeeper? Who were the three servants in Professor Kirke's house? What kind of wood was the wardrobe made of? How much older was Edmund than Lucy? How long did the White Witch's winter last in Narnia? 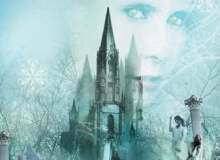 What did Edmund request from the White Witch? What animals guided the Pevensies to Aslan? Which of these is a gift Peter received from Father Christmas? Which of these is a gift Susan received from Father Christmas? Which of these is a gift Lucy received from Father Christmas? What did the White Witch's wand do? What was the name of the ancient landmark on which Aslan died? What was the name of the Giant revived by Aslan? Who broke the White Witch's wand? Where is the capital of Narnia located? Quiz topic: How well do I know The Lion, the Witch and the Wardrobe?